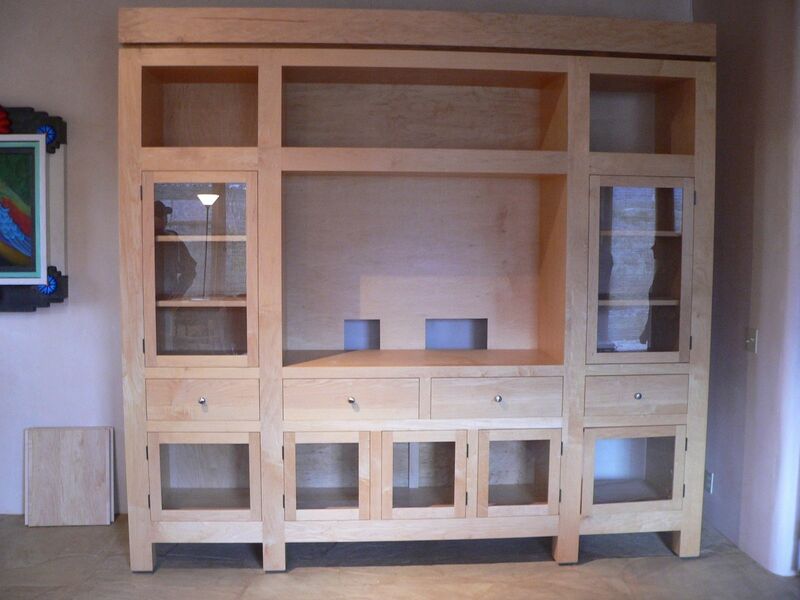 This is a Custom Grand Contemporary Maple Entertainment Center. It is constructed of solid maple,Glass Doors,A band of Walnut around the perimeter of the top of cabinet and a Hand Rubbed Clear Pre- Cat Finish.This piece was Built specifically for a Grand Living Room. Dimensions: This piece was constructed in 3 separate components, due to it's size and assembled at my clients home.